Huawei AM08 Swan Ultra-Portable Wireless Bluetooth With Built-in Microphone Just $23 Down From $70! You are here: Home / Great Deals / Amazon Deals / Huawei AM08 Swan Ultra-Portable Wireless Bluetooth With Built-in Microphone Just $23 Down From $70! Here’s a neat Amazon deal. 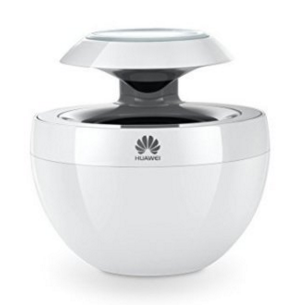 Huawei AM08 Swan Ultra-Portable Wireless Bluetooth 4.0 Speaker Powerful Sound With Built-in Microphone is just $23 down from $70! Get yours now while it lasts! Crystal Clear Sound Quality: Comes with latest Bluetooth 4.0 CSR chipset, wirelessly deliver premium stereo audio performance for crystal clear hands-free music playback, phone calls, movie watching etc. Ease of Use: Support voice prompts and can pair up to 2 devices simultaneously with 10m transmission distance.